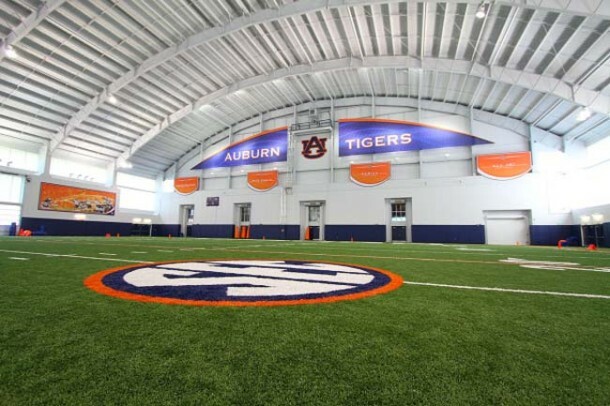 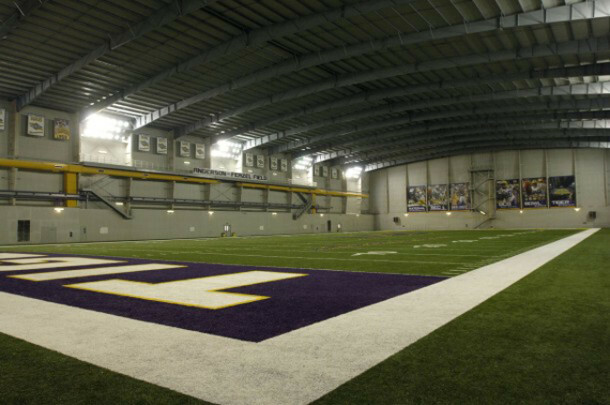 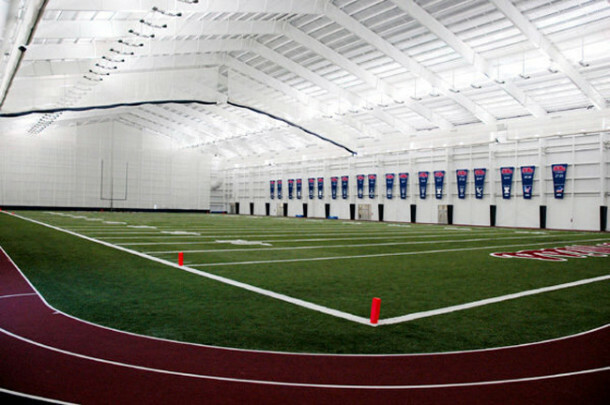 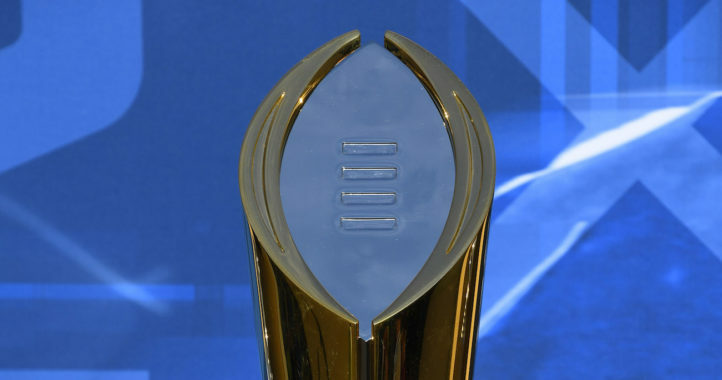 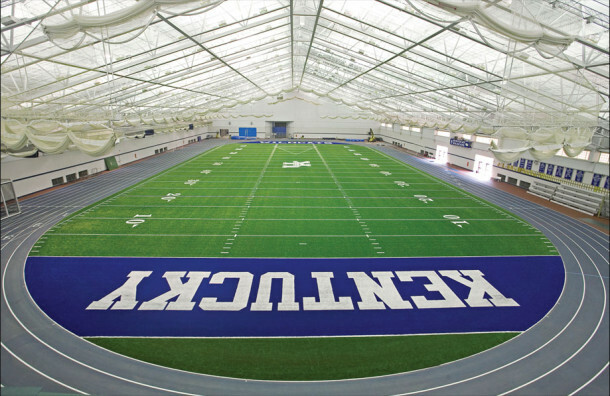 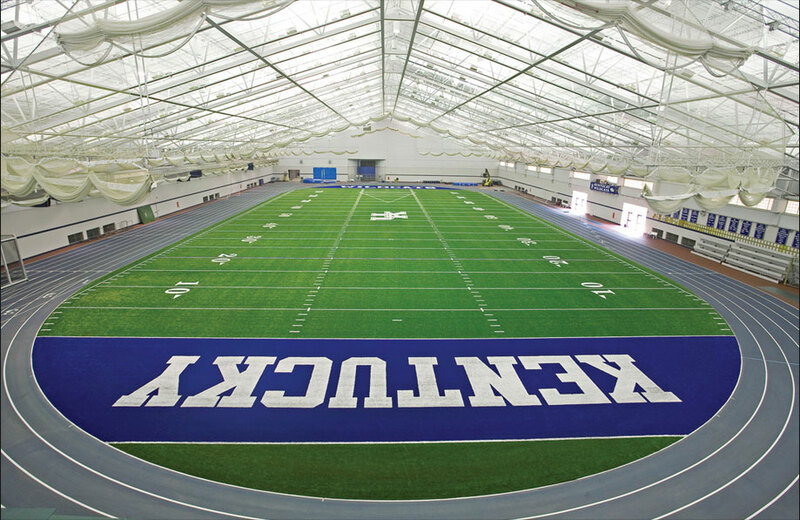 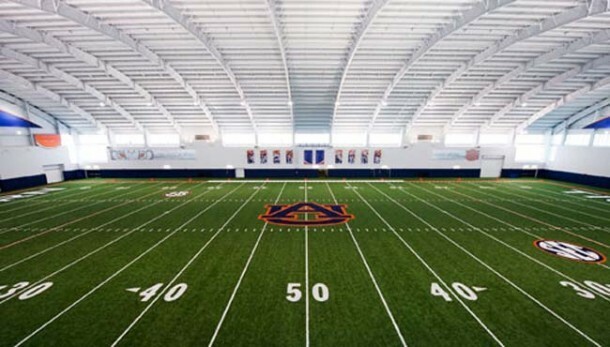 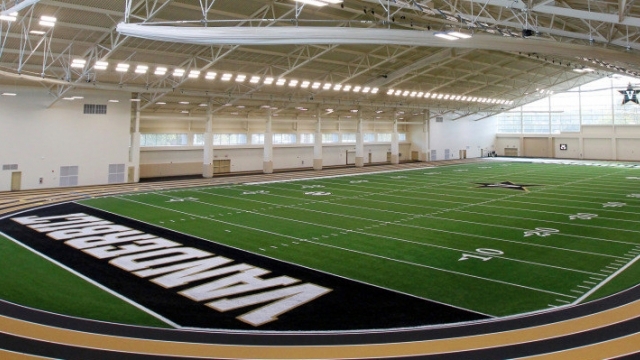 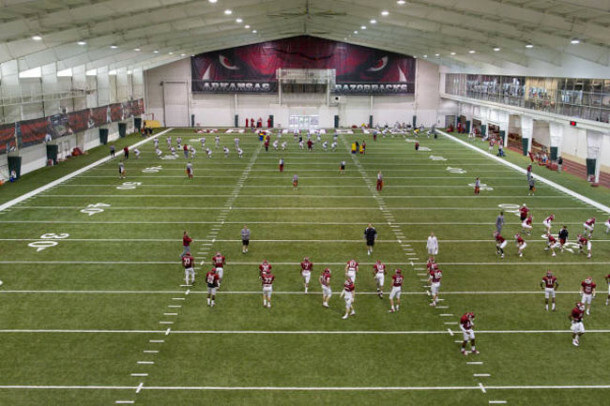 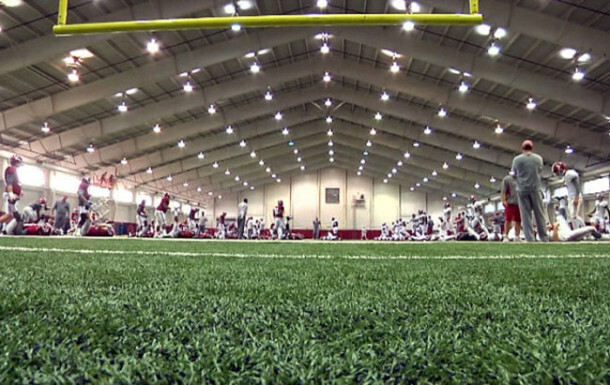 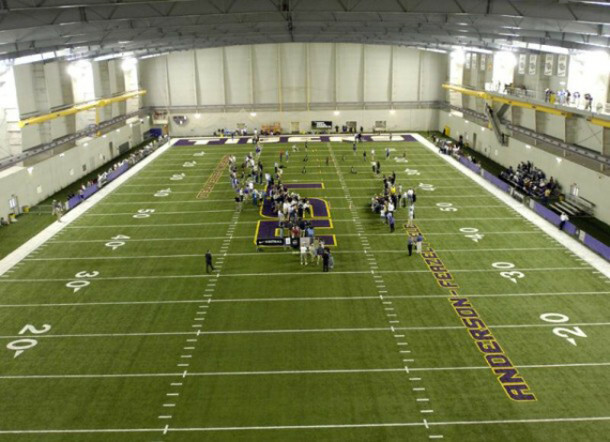 Indoor practice facilities are becoming common place around college football. 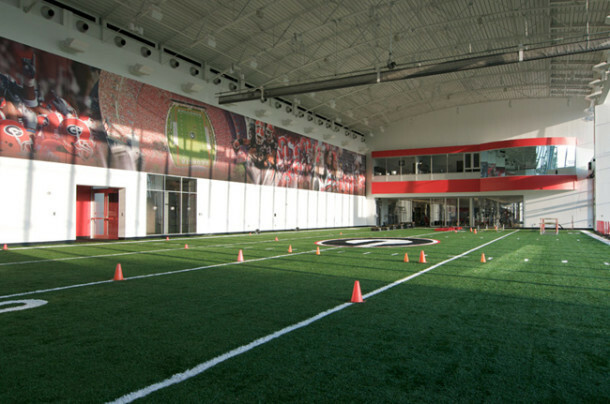 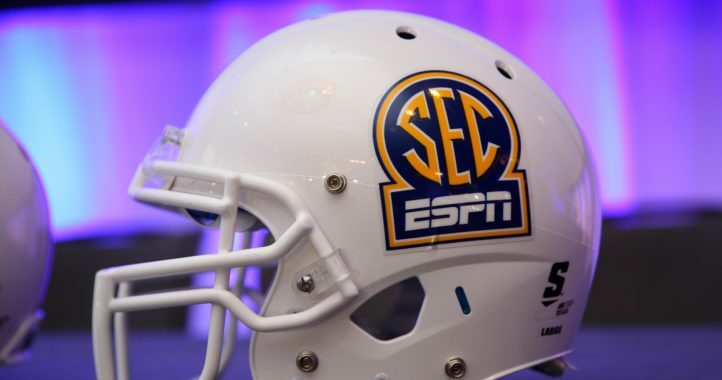 In fact, only four SEC schools — right now — don’t have full-length facilities: Georgia, Florida, Mississippi State and South Carolina. 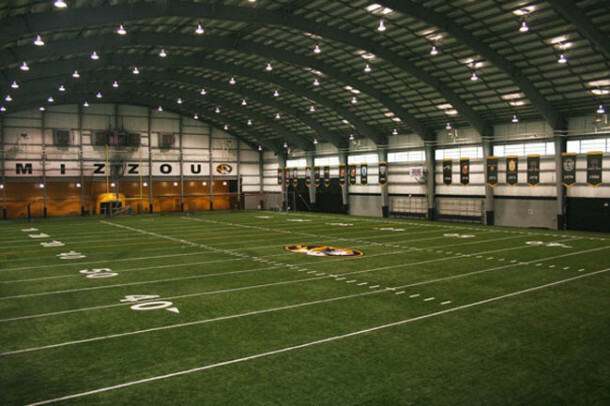 Missouri’s indoor facility is 90 yards, and MSU’s is greater than 50 yards. Georgia has a smaller 50-yard indoor practice facility, and the ballpark figure for UGA’s new full-length practice facility is $30 million. 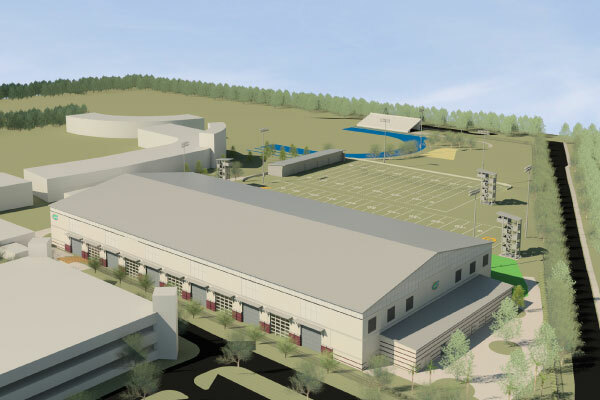 Construction is underway for Florida’s and South Carolina’s indoor practice facilities. 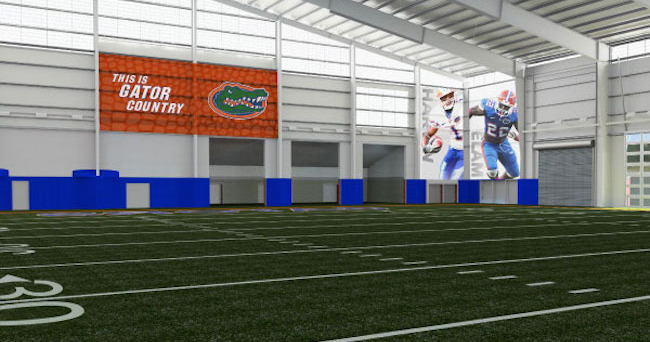 The Gators’ indoor practice facility is currently in progress, and it will be ready by early September. 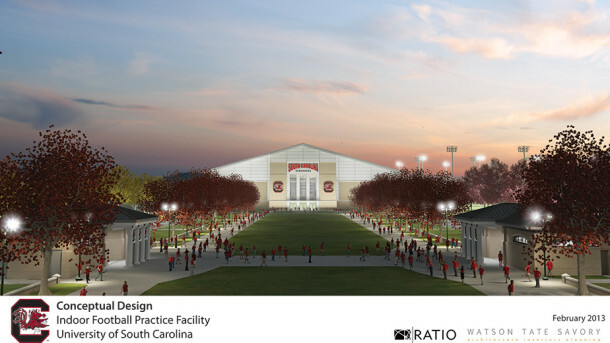 The cost is $15 million, half of Georgia’s projected cost. 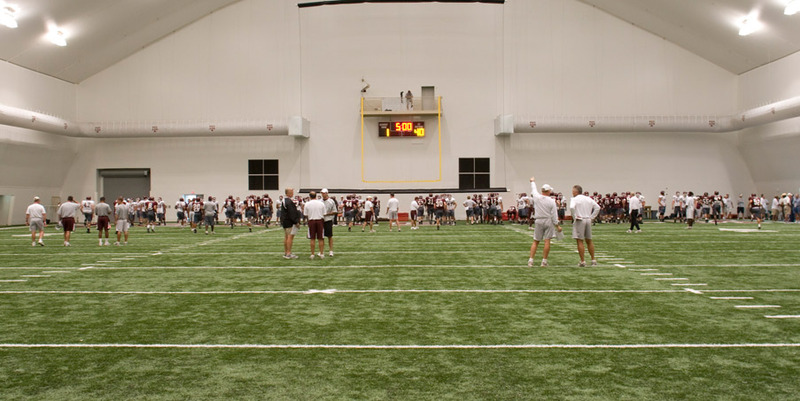 The Gamecocks are currently underway on their new indoor facility, too. South Carolina is building a regulation 100-yard turf football field, and it include restrooms, athletic training rooms and film towers. 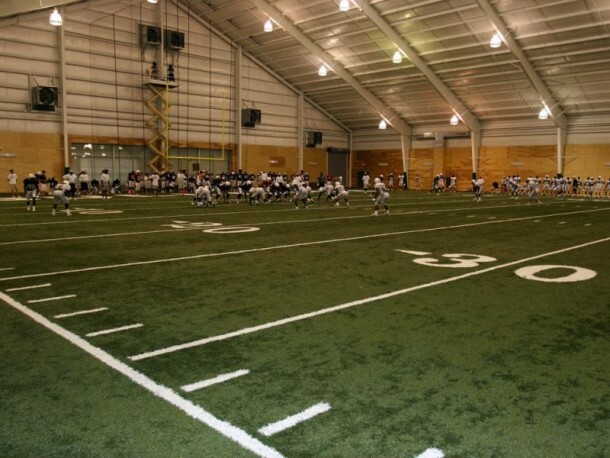 That can’t really be States IPF…. can it? 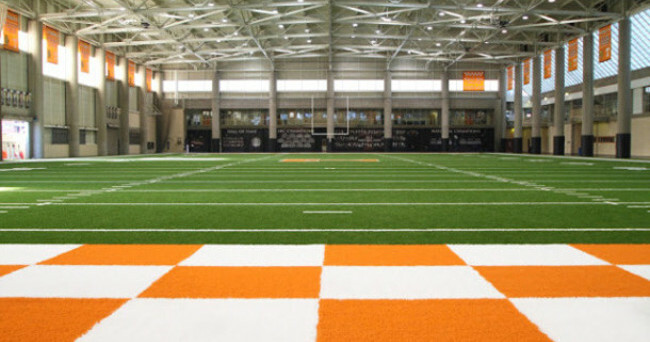 It’s… sad.